Secretbees Studio: Sweet Elf Surprise! Hi everyone! It's my first Christmas post of the year! I'm really not ready to start thinking about Christmas and all it entails but I know it's going to be here before I know it. 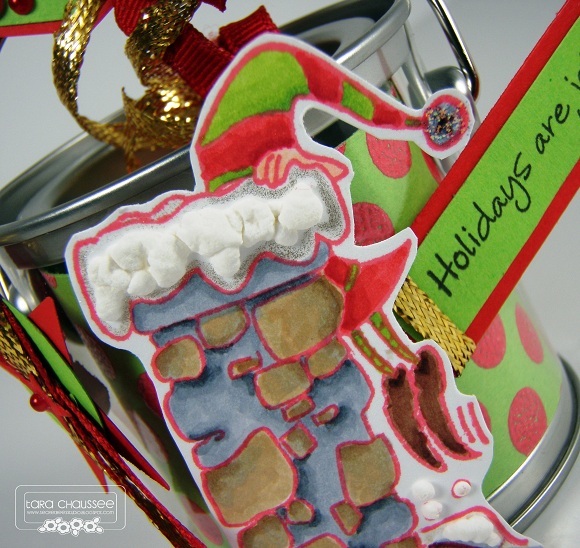 I love these mini acrylic pails that you can decorate and then fill with holiday treats or even small gifts. 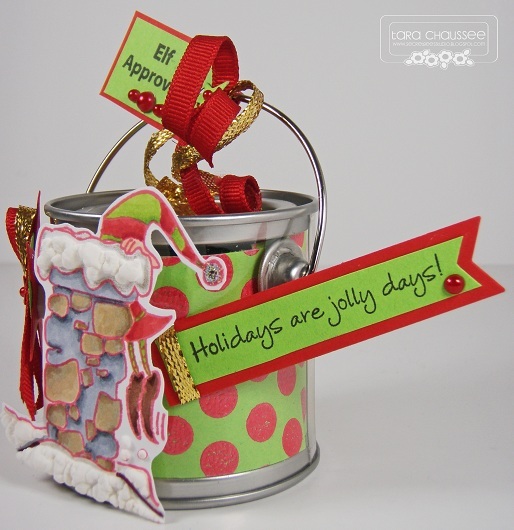 This cutie is from Raisin Boat stamps and is decorated with one of their recently released sets called Elf Express. 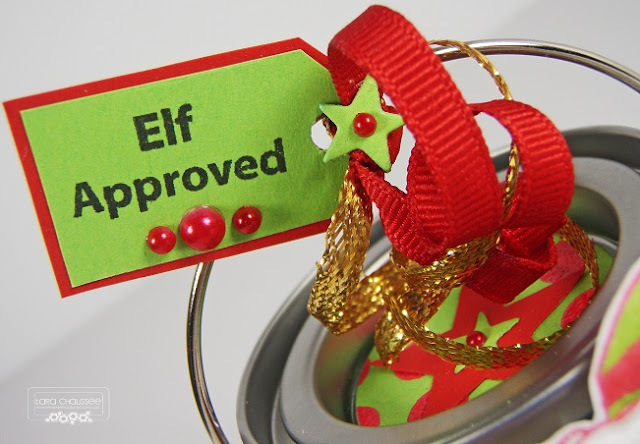 Such charming elf images in this set along with very cute sentiments. I embossed the Polka Dots background in red onto a piece of Summer Lime card stock for a very bright and cheery holiday color scheme. I put that piece of card stock into the pail and then added more details to the outside. This tiny elf and chimney were colored with Copic markers and I added Liquid Applique and Stickles Diamond glitter for that fresh snow look. Red and gold Raisin Boat ribbon, festive stars and a few red pearls are extra touches. This sweet sentiment is from another new Raisin Boat set called Elves are Watching. You know if it's Elf Approved then it is perfect! Very, very cute!! I love those little pails too, I need to pick some up!! Love how you decorated this, it's perfect for Xmas!